20th 25 August 2017 for July, 20 th of next Month for Respective months. 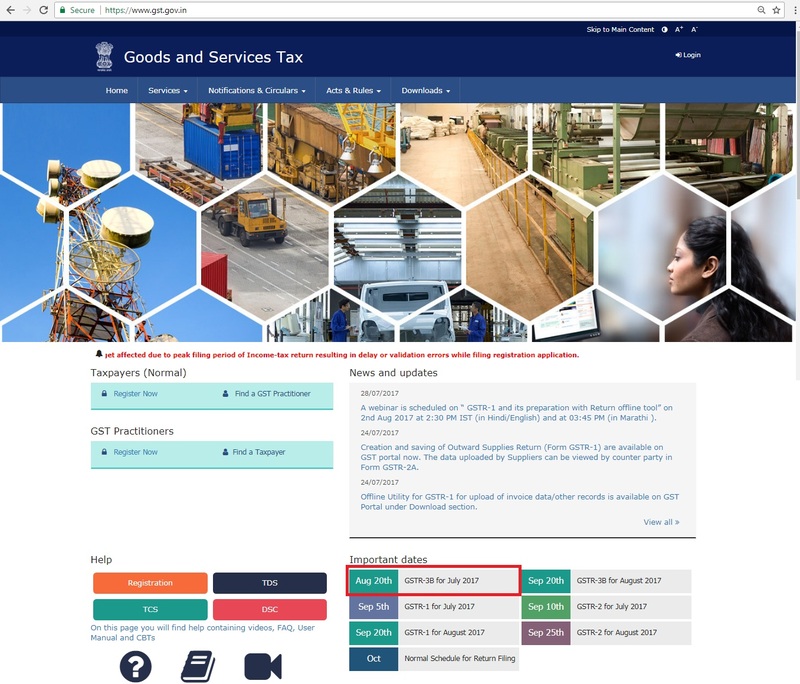 Earliar Gstr-3b is to be filled for Two month only. Now Extended till the month of June 2018. .